Product prices and availability are accurate as of 2019-04-10 14:44:15 UTC and are subject to change. Any price and availability information displayed on http://www.amazon.com/ at the time of purchase will apply to the purchase of this product. This cord is 100% nylon and is a braided cord which measures about 0.8mm. 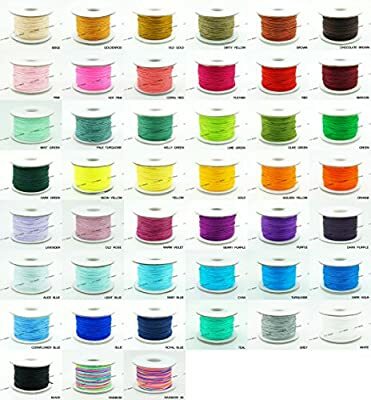 This nylon cord can be used for a variety of purposes including jewelry making, macrame projects or ancient knotting techniques. Great for bead organization, storage and display too!